Nnamdi Ezeigbo is the founder and CEO of SLOT systems limited, and also the brain behind TECNO and INFINIX, the fastest selling phone brands in Nigeria. Many people are not even aware that these popular phone brands are the brainchild of a fellow Nigerian. His success story is a very remarkable one. Nnamdi Ezeigbo studied Electrical Electronics Engineering at the Yaba College of Technology in 1988, and got a Higher National Diploma (HND), before serving his country, Nigeria, during his National Youth Service Corps (NYSC) year at Guinness Nigeria PLC, in 1996. After completing his youth service year, Nnamdi Ezeigbo tried to no avail to secure a job with a company in Nigeria. With no promising signs of any potential employment, he went on to work as an apprentice learning how to repair computers. After which he launched out on his own to repair computers for individuals. Since he didn’t have any cash at the time, he had to squat with a friend of his at Ikeja, who owned a book store. His customer base grew, largely because of his honesty and the premium he placed on customer service. The mutual trust and good relationship with his customers, was what gave him his first break in business. One day, an old customer he knew from his days as an apprentice, came to his little shop to see him. He told him he would love him to continue fixing his computers, but would prefer he operated from a larger and more serene environment. To help him out, the customer brought some printers for Nnamdi to sell, from which he used the proceeds to setup a new shop for himself. He paid for the store at a then price of 180,000 Naira (He later bought that same store many years later for 100 million Naira). From his new store, he began to sell computers. As his business grew, a lot of customers started to both demand for slot stores in areas close to their vicinities, and to ask if they sold mobile phones. 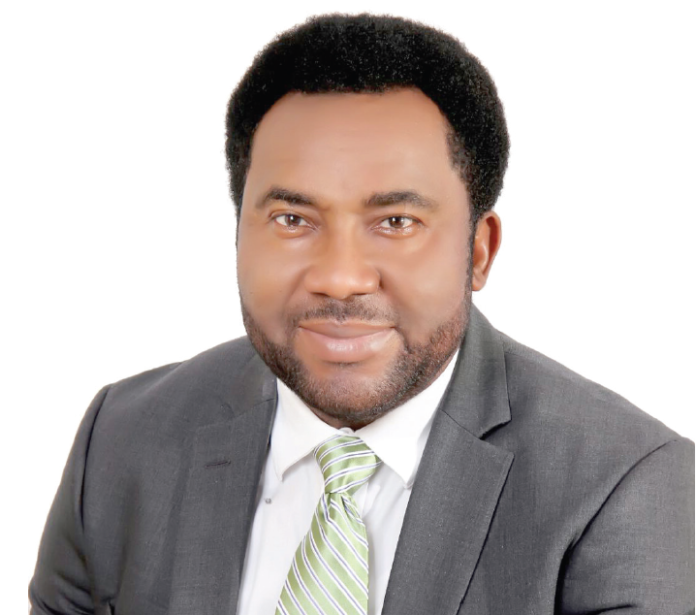 With a keen eye to spot opportunity when it presents itself, Nnamdi Ezeigbo immediately expanded his business to also cover the sale of mobile phones. With no real knowledge on how to manage a growing business, Nnamdi decided to enrol for an MBA program at the prestigious Lagos Business School. He also began to attend many workshops on entrepreneurship, and that helped to sharpen his business acumen and develop his legendary entrepreneurial prowess. During this process, he and his team decided to take a 5 year route to build a strong reputation for their brand. By the time the projection had elapsed, the Slot brand name was the most reputable mobile phone retailer in the whole country. The rise of telecommunication networks created many opportunities in the Nigerian market. Their poor services caused many Nigerians to purchase more than one mobile phone, so they could try a different network when the other was bad. Nnamdi realised this problem early on, and approached Nokia in a bid to convince them to manufacture dual sim phones for Nigerians, so they would carry only one mobile phone at a time instead of two. They refused to listen because, seeing people carry more of their phones meant more phone sales for them. Today, Nnamdi Ezeigbo is a phenomenal success story in Nigeria and indeed Africa. From a humble repair man, he has built a MULTI-MILLION DOLLAR company and one of the most recognizable brand in Nigeria. There are many lessons in this story. Pay attention to your business no matter how small it is today, it can be the seed of a global company tomorrow. Integrity in business is extremely important, it will open doors for you, and speak for you, even when you are not present. When you see opportunities, grab it and run with it. Nokia refused Nnamdi’s idea, Nokia was mighty and Nnamdi was nobody, but today because Nnamdi believed in his idea and grabbed the opportunity, Tecno is everywhere, and Nokia is dead. How are the mighty fallen? Run with your idea, and this too will be your story. Keep improving your products and services every day. Nnamdi kept improving Tecno steadily until it became an accepted brand in Nigeria. Most importantly, the greatest investment you will make is an investment in yourself. As a business man, if you can afford a business school, enroll. Millionaires Academy believes strongly that with the proper training, we shall soon raise business giants in Nigeria. We are the most talented and gifted nation in Africa, and if we avoid pessimism and hopelessness, we can begin to individually improve our lives and soon the entire nation will be affected. Don’t waste your time crying over the economy of the nation, there is nothing you can do about it, but there is a lot you can do about your own personal economy. Improve yourself and your personal economy will improve. At least, start by improving your self.